Paulini first enthralled the nation on the inaugural series of Australian Idol, and has since become an acclaimed singer and songwriter, releasing three albums - she is still one of only 10 Australian female solo artists to have a #1 album on the Australian ARIA Charts. Last year, Paulini astounded audiences and critics alike in the lead role of Rachel Marron in The Bodyguard, her debut musical theatre production. Singer-songwriter Natalie Conway is a powerhouse performer and international DJ who became a household name in Australia when she featured on Channel 7's The X Factor in 2016. Her current single, So Loud, was released earlier this month. Nana Matapule was most recently seen as one of the Drifters in the Australian tour of Beautiful: The Carole King Musical. His other credits include the role of Collins in the sell-out season of Rent at the Hayes Theatre and an original cast member of Boys in The Band and Swoon the Mad Men of Swing. 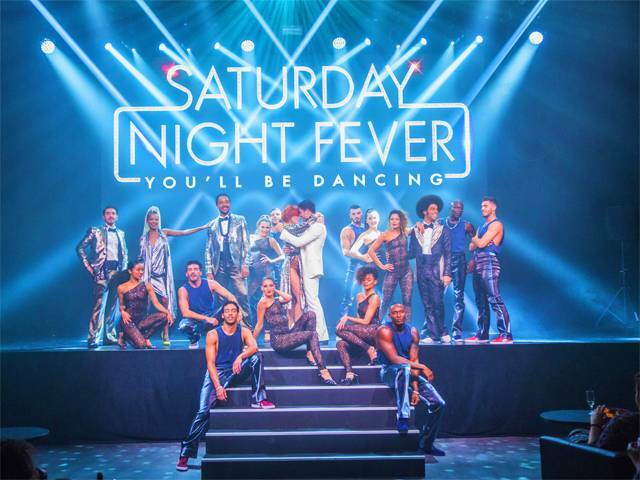 Paying homage to the classic movie, Saturday Night Fever is packed with disco classics, including the Bee Gees' greatest hits Stayin' Alive, How Deep Is Your Love, Night Fever, Tragedy and More Than A Woman. This brand-new production premiered recently in Paris. The 1977 movie Saturday Night Fever starring John Travolta and Karen Gorney, was based on a story in New York Magazine by Nik Cohn, who many years later acknowledged that he made up the characters and the story. The movie is credited with defining the 1970's, while the soundtrack remains the best-selling soundtrack of all time with over 45 million copies sold. "This new production of Saturday Night Fever has never been staged in Australia and we anticipate more than 14,000 overnight visitors will travel to Sydney to see the musical, generating around $6.5 million for the NSW economy," Mr Marshall said. "Since it debuted in the West End and Broadway, the musical adaptation of Saturday Night Fever has set pulses racing around the world. The music is infectious and defined the distinctive disco era for a whole generation," said John Frost. "I'm thrilled to bring this exhilarating new production to Australia, with its breathtaking dancing and the glorious collection of songs like Night Fever, Stayin' Alive, You Should Be Dancin' and If I Can't Have You. I'm so excited that we'll have Paulini, Natalie and Nana voicing those classic Bee Gees songs alongside another sensational vocalist, and can't wait to introduce the rest of the cast."